23 1/8 x 23 1/8 in. This piece is signed and dated in ball-point pen. To understand Andy Warhol and his art, one must first understand the art movement of the time, which came to be known as the POP art movement, and secondly the artist himself. Since 1943, American Modern art was dominated by Abstract Expressionism. Artists such as Jackson Pollock, Robert Motherwell and Willem de Kooning believed that art was about the raw, physical mark, or “gesture” made when the artist applied paint to the canvas. As a reaction to the dominance of Abstract Expressionism in art and a culture now driven by consumerism, the artists Jasper Johns and Robert Rauschenberg represented a new generation of artist that wanted to reflect the reality of the humdrum life around them, which was modern America in the 1950s. These two artists reach new heights and broke new ground in their own individual styles. These two artists paved the way for Andy Warhol, however, while Johns and Rauschenberg chose objects so familiar that they were overlooked, Warhol would take images so popular that they already had mass appeal. He would be as bold and as brash as the advertisements and products surrounding him. He figured that one would interpret the icons and artifacts of the consumer boom in two ways. The idealized images of perfect people and faultless products could be seen as clichés or classicism. They can be viewed as a crass and exploitative picture or they can be viewed as celebrating the ideal of perfection. To reveal this psychological tension, Warhol went to his mother’s place for lunch to think about a suitably “low” motif. When he arrived there he sat down and consumed the same meal he had been eating for the past 20 years – a slice of bread and a can of Campbell’s soup. The Campbell’s soup can would not only define him as an artist, but also define POP art and the movement’s overriding obsession with mass production and consumer culture. His method of screenprinting images on either canvas or paper made him successful in removing almost all evidence of the artist’s presence from the paintings. The power of the work was in its dispassionate coldness, communicated by the apparent absence of the artist’s hand. The images of the paintings parodies the methods of modern advertising, which aims to infiltrate the public’s consciousness in order to indoctrinate and persuade by bombarding us with multiple exposures of the same image. 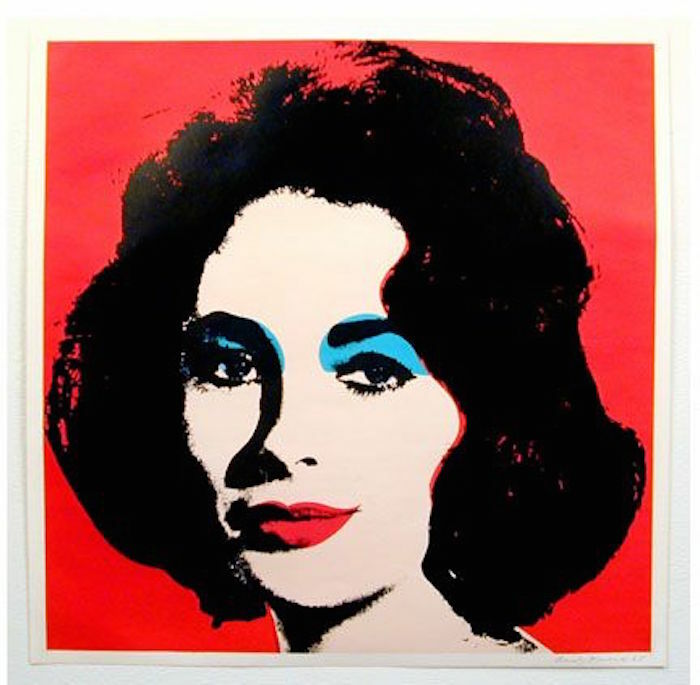 Warhol also challenges the idea that art should be original, as well as the tradition of the art market, which places value – financial and artistic – on perceived rarity and uniqueness. Warhol’s decision not to create his own images also furthers Marcel Duchamp’s idea that the art world falsely elevates artists to the role of all seeing geniuses. This amazing, unselfish contribution to art can be seen in many artists today. The Chinese artist, Ai Weiwei paints his consumer driven influenced images on 1,000 year old antique artifacts, removing himself from his art and its message. The anonymous stencil artist Banksy removes himself from his work, not only by remaining anonymous, but also by using a pre-made stencil, which also removes the artistic hand in his artworks and his messages. Jeff Koons uses images of puppies, Popeye and tulips in high polished mirror finish to remove the hand of the artist. There are many artists today from Koons to Ai Weiwei to Banksy, Shepard Fairey, Nate Lowman and countless others whose personas, works and ideas owe a debt of gratitude to their predecessor, Andy Warhol. For without Warhol, none of their great minds could have flourished. Andy Warhol withstands the test of time.